A great way to transition little ones from one season to the next is with themed activities. These fun printable worksheets includes number recognition, addition, size sorting, and pumpkin labeling. 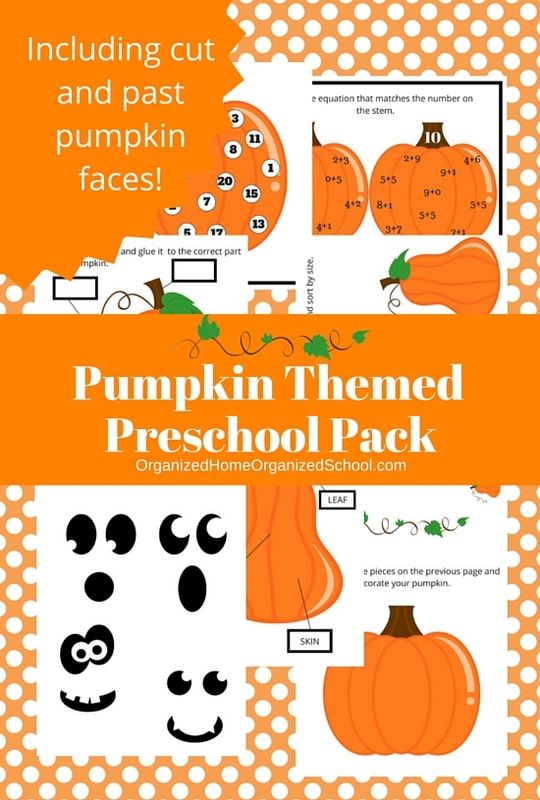 It also includes a bonus sheet of pumpkin faces that you can print and decorate your own pumpkin with! Download your copy here!